The all-new City Concours takes place in London this Thursday and Friday, and the full list of incredible cars attending has been revealed. 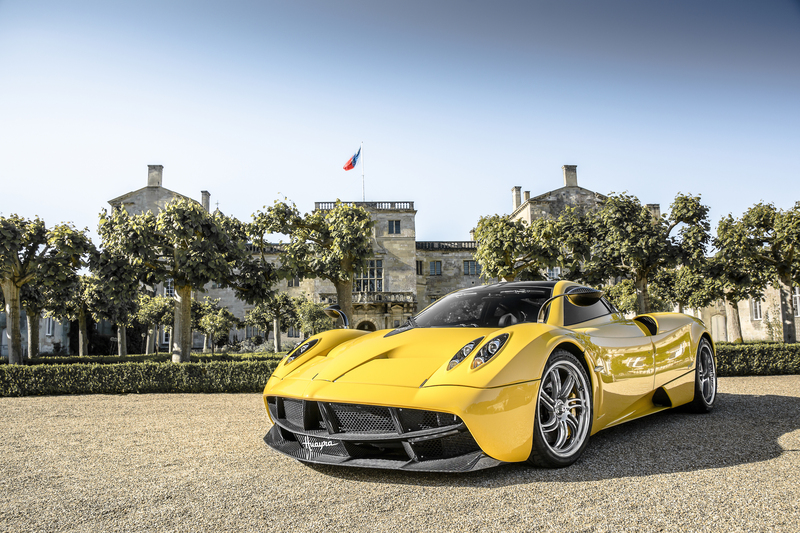 Some of the most amazing supercars of recent years, including the Aston Martin Vulcan and Pagani Huarya, will be joined on the Honourable Artillery Company lawn by some of the earliest motoring pioneers, such as the 1912 Rolls-Royce Silver Ghost ‘London to Edinburgh’. In total, 75 vehicles curated by the City Concours panel of motoring experts will be on display alongside around 30 others from City Concours’ specialist car partners. Split into classes, the car displays open with ‘Pioneering Spirit’, a celebration of vehicles that changed the world of motoring or completed legendary feats of endurance. Chief among the ‘Pioneering Spirit’ vehicles is the 1912 Rolls-Royce Silver Ghost ‘London to Edinburgh’. The car is named for the Silver Ghost’s famous London to Edinburgh return journey, where it covered around 1600 miles using only its top gear, carrying four passengers and luggage, and achieving 24.3mpg. It was this feat that helped cement a reputation for the Silver Ghost as ‘the best car in the world’. Next, is a celebration of sports cars named ‘The Joy of the Road’. Taking in models like the Bentley Open Sports Tourer, Porsche 356 Speedster and Maserati 3500 GTI Vignale Spyder, it’s an homage to one of the purest forms of motoring. ‘The Swinging Sixties’ focuses on a golden age of automotive design and engineering with a group of cars that have come to symbolize the era. An early ‘flat floor’ Jaguar E-Type, Morris Mini Cooper S, AC Cobra Mk 2 and a Ferrari 275 GTB each earn a spot among the 10 Sixties models on display. A Jaguar D-Type ‘Ecurie Ecosse’ that finished second at Le Mans in 1957 is one of the stars of the ‘Built for Speed’ display, which also includes a Maserati Tipo 200SI Barchetta from the same era. The more modern offerings comprise a Jaguar XJ220C TWR, Ferrari 458 Italia GTE and Maserati MC12 Versione Corse. The event’s centerpiece display will be 20 supercars of all ages, charting the development of high-performance vehicles from the 1954 Mercedes 300SL Gullwing to the Ferrari LaFerrari. The feature runs through the Porsche 911 2.7 RS of the ‘70s, the Ferrari 288 GTO of the ‘80s and Jaguar XJ220 TWR of the ’90 before reaching the most amazing supercars of this century. The Bugatti Veyron, Lexus LFA, and Pagani Huarya will all be on display, alongside each of the ‘hypercar holy trinity’ from Ferrari, Porsche and McLaren. The ‘Modern Bespokes’ category is for those vehicles that hark back to the golden age of coachbuilding – specially designed bodies built around existing chassis. Prime examples are the one-of-seven Touring Superleggera Disco Volante Spyder, using an Alfa Romeo 8C as its base, and the Porsche 911 Reimagined by Singer. Fans of American Muscle will be treated to a collection of cars from the anonymous ‘Collector’. Six cars, all finished in black, chart the biggest names in American performance cars of the ‘60s and ‘70s; the Dodge Challenger T/A, Plymouth Barracuda and Chevrolet El Camino SS. Alongside car displays from a number of the world’s leading performance and classic car experts, the City Concours is also hosting a display of two-wheeled vehicles; The History of the Superbike. Looking back all the way to the 1928 Brough Superior SS100, the display includes the 1939 Velocette KTT Mk8, 1975 Ducati 750SS and 2016’s Kawasaki H2R. Visitors will also be to browse a number of attractions from the event’s partners, including the Taittinger Champagne bar, timepiece displays from Breguet and Glashütte, and art from Freire Printz, Unique & Limited, Collier Dobson and CARisma Photo. Official Outfitter to the City Concours, Mason & Sons, will on-hand with a display of its latest clothes and accessories from a range of Great British brands.